Kristine Galemmo is a graduate of the University of Iowa with a B.F.A. in Dance, where she studied ballet with Francoise Martinet and Alicia Brown and Modern dance from David Berkey, Elana King, and Susan Dickson. Kristine was a member of the Dance faculty at the University of Iowa. She also studied and taught the Vaganova ballet technique for the Young Dancers Talented and Gifted Program affiliated with the University. After moving to Columbia, SC, Kristine was part of the Dance Faculty for Columbia College, taught for Columbia Ballet School and Director of the Junior and Apprentice Company for Carolina Ballet; Columbia, SC. Kristine assisted in revising of the South Carolina Framework for Dance Education and was a teacher for Richland One Talented and Gifted Program. She has also taught for Raleigh School of Ballet Pre-Professional Division. After moving to Cincinnati in 1997, Kristine was on staff with the The Cincinnati Ballet for over 5 years. 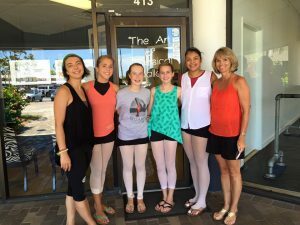 She taught their Advanced Pre Professional Division along with their young dancers program. Kristine also taught for Ballet Theatre Midwest where she taught all levels in their program. Kristine has taken many classes in Dance Pedagogy, studied the Cecchetti and Vaganova method and given numerous master classes throughout her teaching career. 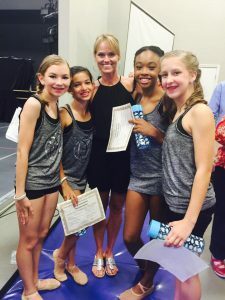 She looks forward to serving and developing the talented dancers of the DanceArts Greenville as an instructor and as Director of the DanceArts Youth Company.